Man, where to put a thread about a Toronado radio power antenna? Electrical, Interior, Bodywork, Toronado?? 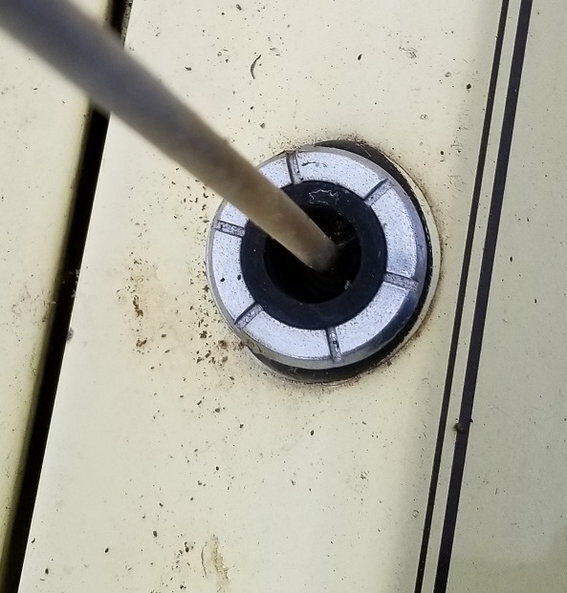 Does anyone know offhand the specific, right tool to remove the power antenna nut for a '77 Toronado? The tapping it with a small screwdriver in the slots trick isn't cutting it - it's about to screw it up. Usually, GM factory manuals are filled with statements like "Use J-3490 philips head screwdriver or equivalent." Not in this case. Not even a listing at the end of the chapter of the special tools used within the chapter. This worries me because anyone with a '77 or '78 Toronado knows our cars a lot lot more kin to '76 and older than '77 and newer GM cars, which all had big changes that year. The AC system and entire dash are good examples. Anyone had personal experience with this? Feel free to move this thread to a more appropriate section, if needed. You could try a pair of needle nose pliers with a 90 degree bend or look at Snap-on tools. They show five different sockets, but you have to start a Go-fund-me web site to pay for them! 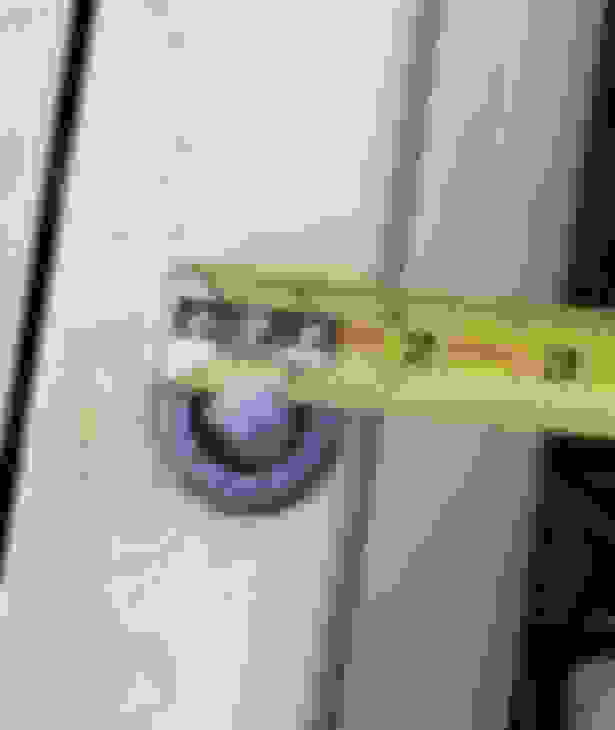 Here are a couple of pictures of the bezel I'm trying to remove. That retainer has six notches so the four prong tool in the Amazon links won't work. Maybe one of the two pronged tools in the Lisle set would work, but no idea which one, if either . Last edited by Fun71; February 4th, 2018 at 08:40 PM. Yeah, when I snapped the pictures from my parts car, I realized I had a six way bezel on there. My main car had an aftermarket antenna installed when I got it. It croaked on me, so I'm trying to go with OEM, or at least with OEM hardware on top of the fender. I was working on a car in a junkyard last week and having no luck getting the bezel lose with the tapping on a small screwdriver method. That started my search for the right tool to do the job. It didn't register that it had 6 slots when I created the post (my cars aren't where I live during the week). I'm batting 1.000 here lately. Last edited by 77toronado; February 5th, 2018 at 10:19 AM. Snap-on catalogue states that socket S9625C services 1977 and later GM cars. A three pronged tool might work also. Yep. Most of the tool sets show one for '77 and up GM. That Snap-On is a four prong socket. I have no doubt that it fits '77 and up Caprices, Impalas, etc. The Toronados were pretty much holdovers until the new design came in for 1979. More than likely, what ever worked for 1975 or 76 would work like a champ on this. I just can't find what it is. I appreciate everyone helping out with this. You can file off two of the pins in the circle, and if necessary file the pins thinner so they fit the slots. You should be able to get them at a local parts store as well. You can also get an adjustable spanner with replaceable pins, or file the pins to fit the slots. The pin wrench idea is interesting. It looks like that may be the path I'm going to have to take. I foresee some pin filing in my future. Uca cross shaft bushing retainer nut tightening tool?? ?